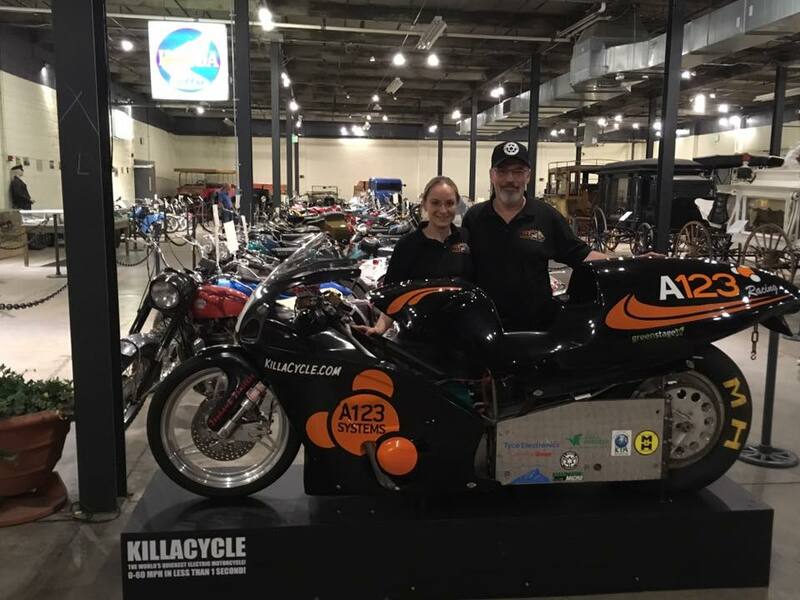 KillaCycle set numerous electric motorcycle 1/4 mile drag racing elapsed time records. 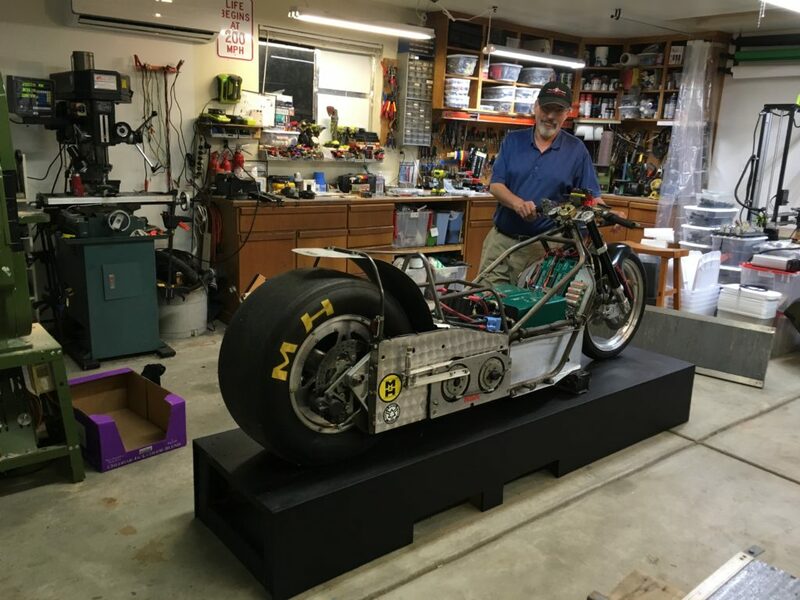 It was the first electric motorcycle in the 10’s, 9’s, 8’s and 7’s in the 1/4 mile. 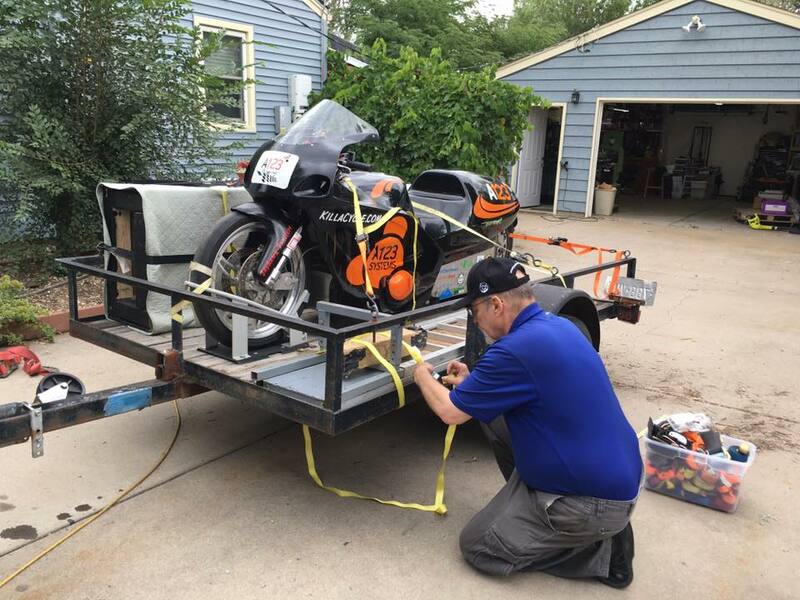 Its top 1/4 mile speed was 174 mph and its lowest 1/4 mile elapsed time was 7.62 seconds. 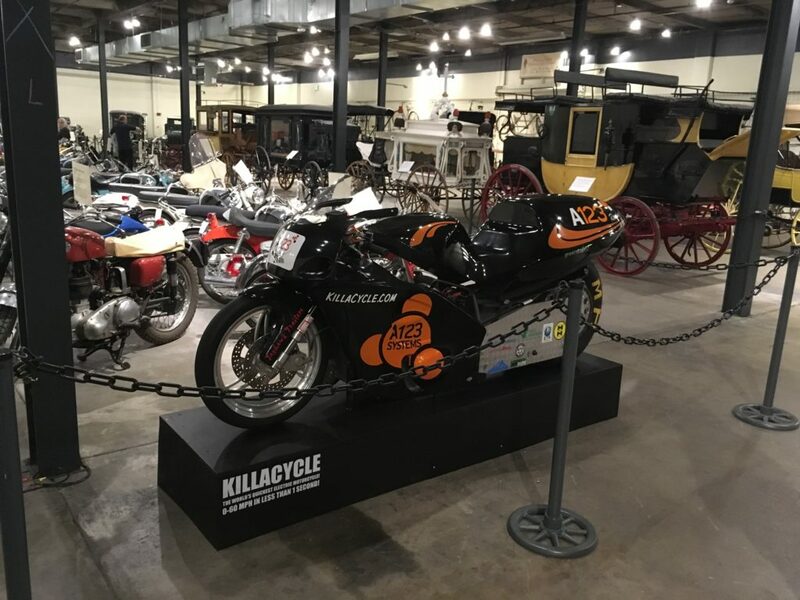 The KillaCycle appeared on many TV shows including PBS Nova, NBC Today Show, Mythbusters, plus many appearances on the Discovery Channel, and the Speed Channel. It still holds the overall electric vehicle record for zero to 60 MPH of 0.96 seconds. Other EV’s have come close, but none have managed to break that particular record, yet. 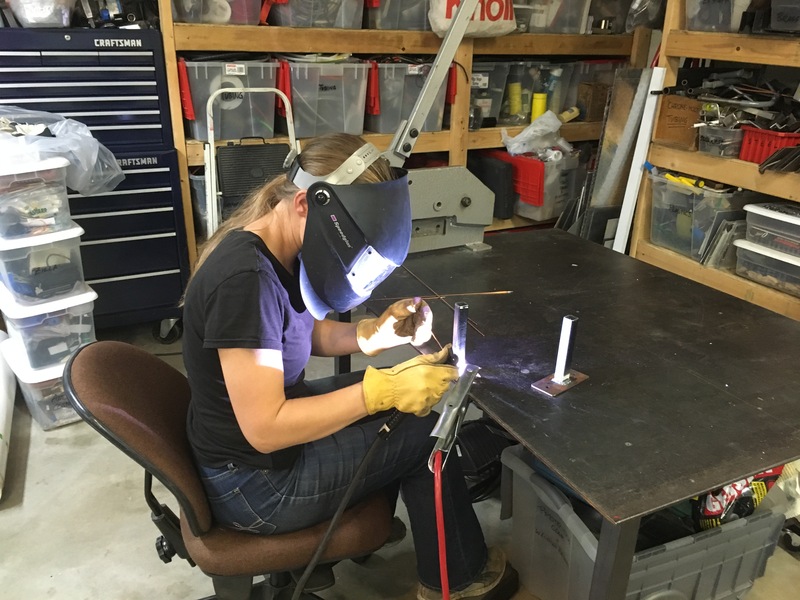 Welding the support brackets that holds the KillaCycle on to the display pedestal. We built the display pedestal from plywood and wooden studs. A coat of satin, water-based paint makes it look totally professional. The holes at the bottom makes it possible to move the entire display with a forklift or pallet jack. Time to leave (before the rain hits…)! A display worthy a champion! The KillaCycle was given the prime location in the Forney Museum’s motorcycle hall.